My team and I are all members of a street dance troupe. For us, dance is everything. It’s an activity that we love and it brings many benefits to our lives. It provides us with a way to express our emotions and appreciate our bodies. Another positive is being part of a really supportive group. But, we feel there are people who view street dance negatively and judge us – especially if we’re performing in town. With Fixers, we want to challenge these perceptions. 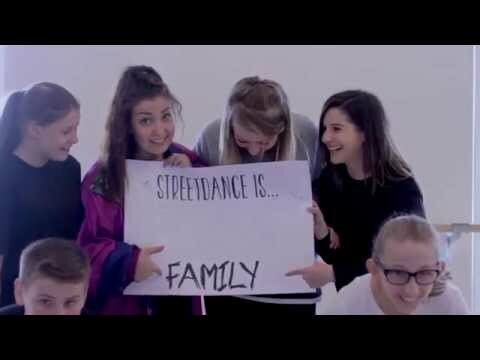 We hope to encourage others to view the activity in a more positive light, recognising the beneficial impact of street dance on those willing to give it a go. Claire Greaves and Kara Herridge are helping me with this Fix. Thanks also to Jessica Davies, Courtney Harvey, Leo Perham and Jessica Spear who are outside the 16-25 Fixers age range but have worked with us on this project. Amie, our dance teacher, supports our Fix. She’s helped facilitate our project and agreed to appear in our Fixers film.